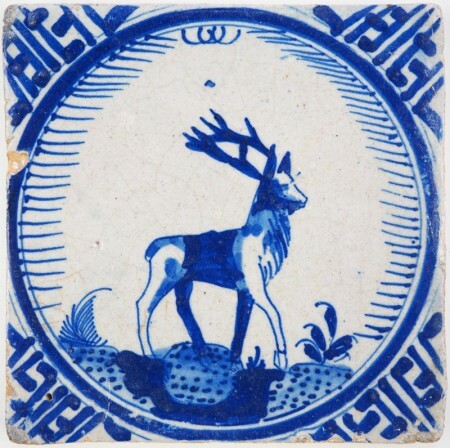 This beautiful 17th century Delft tile (c. 1630) is known as a 'Crown' tile, due to the small 'crown' painted just below the top of the circle. 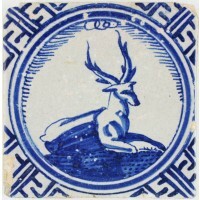 This is a characteristic of tiles fabricated in the Dutch city of Rotterdam. 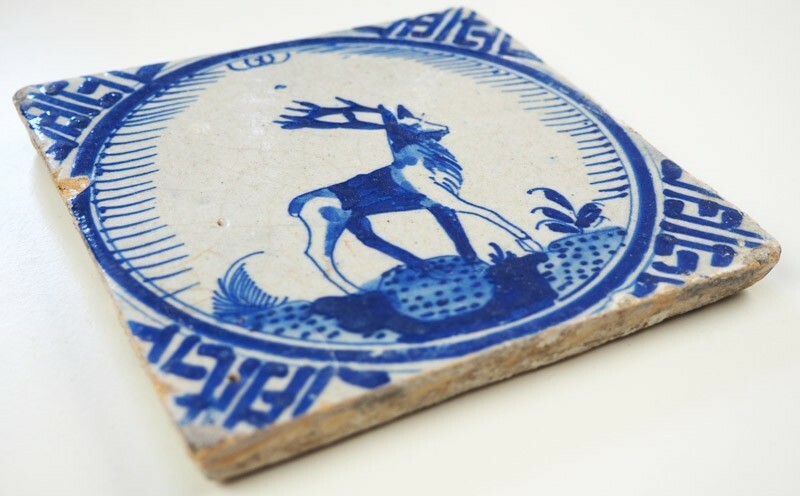 This tile depicts a fierce looking stag with large antlers. The corners are decorated with the 'Wanli' motif, which was based on the decoration on Chinese porcelain. 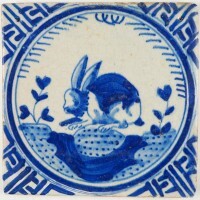 Dutch potters tried to imitate these patterns due to the popularity of these products. 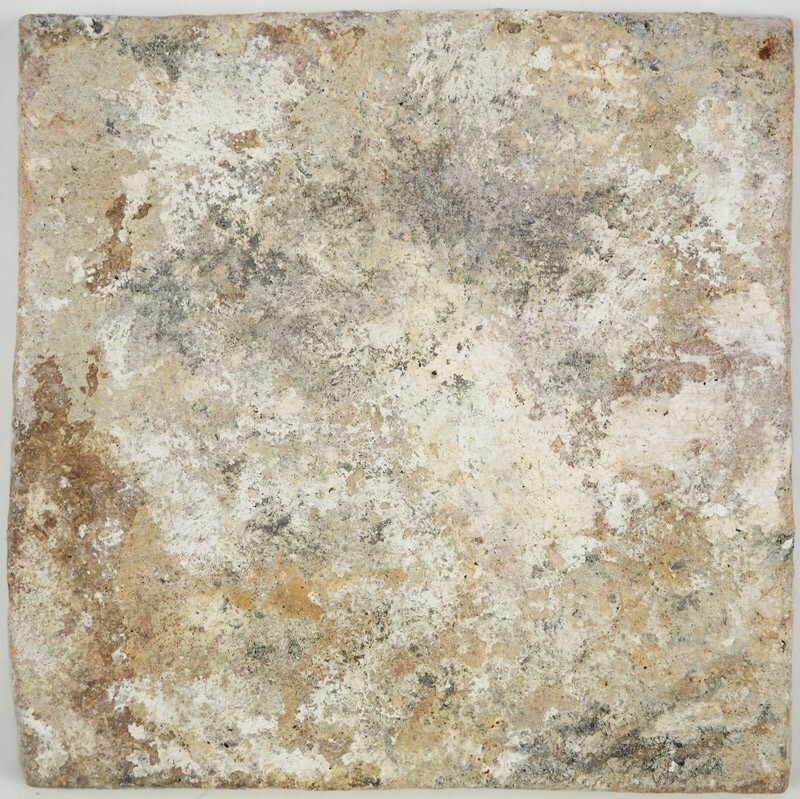 The tile is in a great condition, with just a few minor chips along the sides.